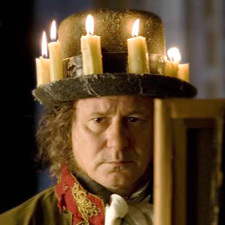 I love this poem by Billy Collins about Goya and his infamous candle hat. then laughing like a birthday cake when she saw the glow. 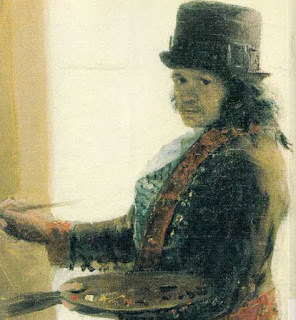 Goya's self portrait wearing his candle hat during the day, so not lit.